Black Opal Foundation in a word...AMAZING! My experience with Black Opal foundation stick has been very good. It is a rich creamy foundation. You can achieve full coverage with just a few dabs. 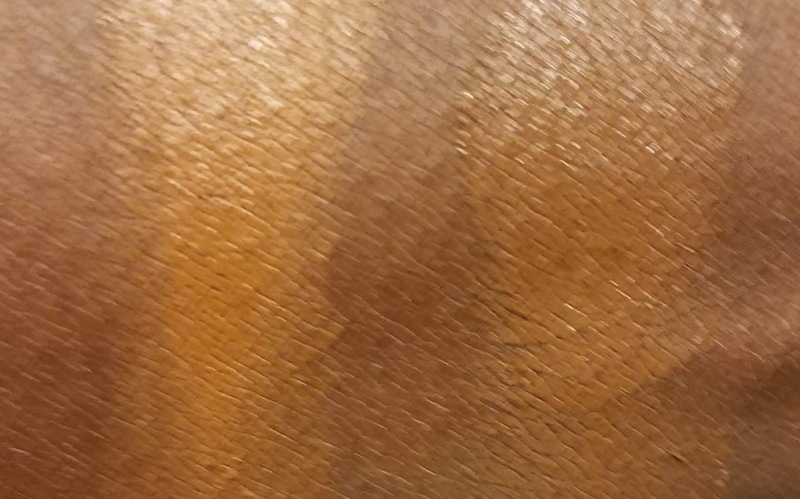 The colors in the picture are Hazelnut (left) and Suede Mocha (right). The pictures below clearly show how moisturizing the foundation is. I love it! Apply, blend, set. It is a very good alternative (in my opinion) to my MAC concealer, which I use as a foundation. I actually prefer it. 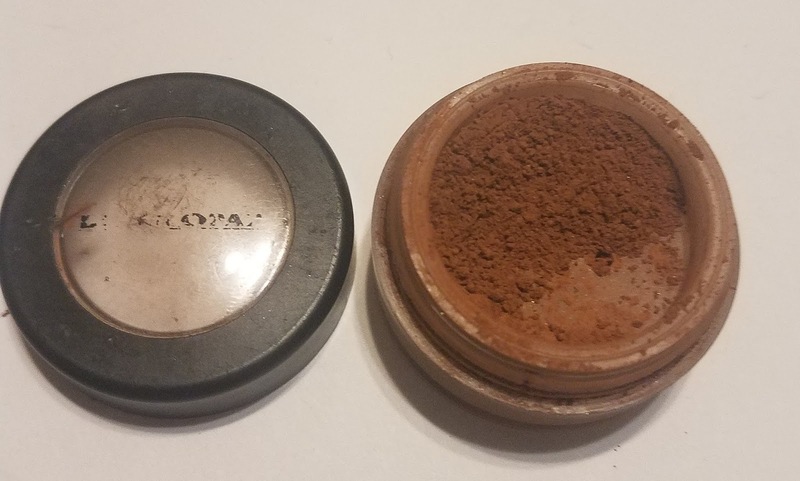 I also purchased the Deluxe Finishing Loose Powder in Deep. The finishing powder has a silky texture and adds a matte look without looking dry or ashy. I love love the foundation, but if I was in a rush the finishing powder is so richly pigmented I can apply it over moisturizer/primer. The finishing powder contains mica. Leaves a silky glow to your skin. Black Opal advertises as a true to color full coverage foundation with 16 shades. I agree it is a heavy foundation and seems to be very good for someone whose skin tends to be on the dry side. The color range is awesome. 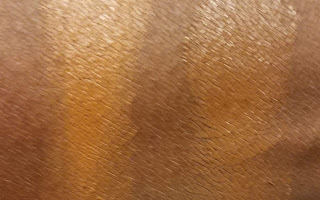 There are 5 shades darker than Hazelnut and 2 shades darker than Suede Mocha. The color chart on the website needs improving because you can't really see the richness of the shades. 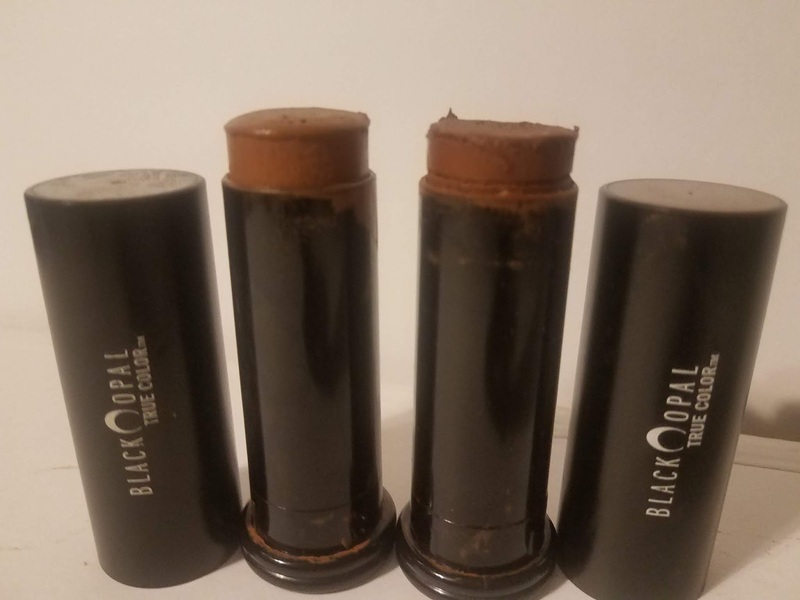 I hope and pray Black Opal continues this amazing line of foundations and powders. 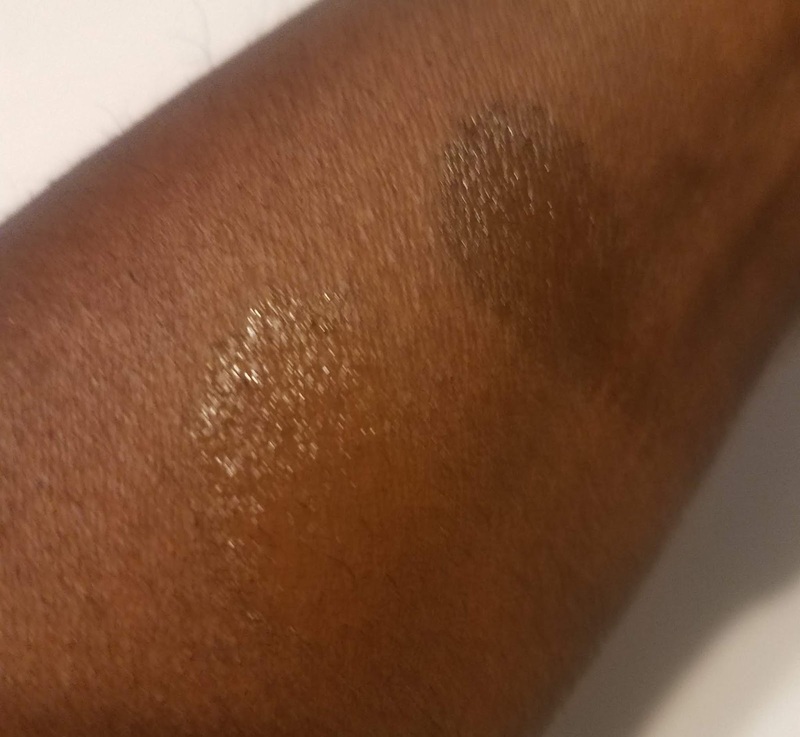 It does transfer a little and it maybe a little oily for people prone to oily skin that breaks out easily, but other than that, these little foundation sticks are amazing.